RedBalloon is Australia & New Zealand's leading experience gifts retailer, with 2 million good times sold and counting. Over 3,500 experiences to choose from! Rewards are calculated on total cost of transaction excluding freight/handling and tax. Purchases made with coupons or vouchers not sourced from this site may not be eligible for earning rewards. purchase conditions apply, see retailer page for details. Tarocash [NZ] Selected Knits - Any Two Full Price for $100! 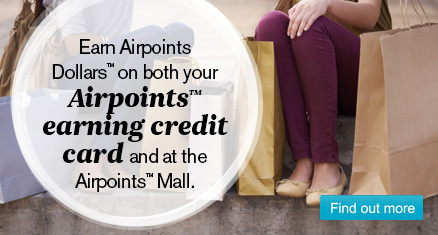 If NZ$100 = 1 is displayed, it means you will earn 1 Airpoints Dollar™ for every NZ$100 you spend.